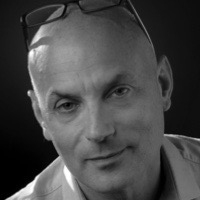 Daniel Mendelsohn is an author, critic, and essayist and a columnist for Harper's. He began his career in journalism in 1991, contributing to such publications as the Village Voice and the Nation while completing his PhD in classics at Princeton University. Since then, his translations, reviews, and essays on books, movies, theater, and television have appeared regularly in numerous national publications, most frequently the New Yorker, the New York Review of Books, and the New York Times. He is the author of seven books. The Elusive Embrace (1999), a memoir of family history and sexual identity twined around meditations on classical texts, was a New York Times Notable Book of 1999 and a Los Angeles Times Best Book of the Year. In 2002 his scholarly study of Greek tragedy was published by Oxford University Press. His first collection of essays, How Beautiful It Is and How Easily It Can Be Broken (2008), was a Publishers Weekly Best Book of the Year. His second collection, Waiting for the Barbarians: Essays from the Classics to Pop Culture (2012), was a finalist for the National Book Critics Circle Award in Criticism and runner-up for the PEN Art of the Essay Award. Mendelsohn lives in the Hudson Valley and teaches literature at Bard College. His new book is An Odyssey: A Father, a Son, and an Epic. The book recounts his travels around the Mediterranean with his late father, a scientist, while reading The Odyssey.